Percy! Percy! Gahapan Machaan, Boundary-Boundary! Winning or losing the cheering support was always there. Read the rest of this entry ? Sri Lankan Cricket in Deep !!@##!! Ashen Bandara Ahoy! Aloysians Ahoy! Bandara, a student at St. Aloysius’ College in Galle, was called up to the squad to do fielding duties and he looked electric. During India’ second innings, when captain Virat Kohli flicked a Dilruwan Perera delivery to mid-wicket, young Ashen sprinted from wide mid-on and dived in the mid-wicket region to save a boundary prompting questions from fans about his identity? Read the rest of this entry ? 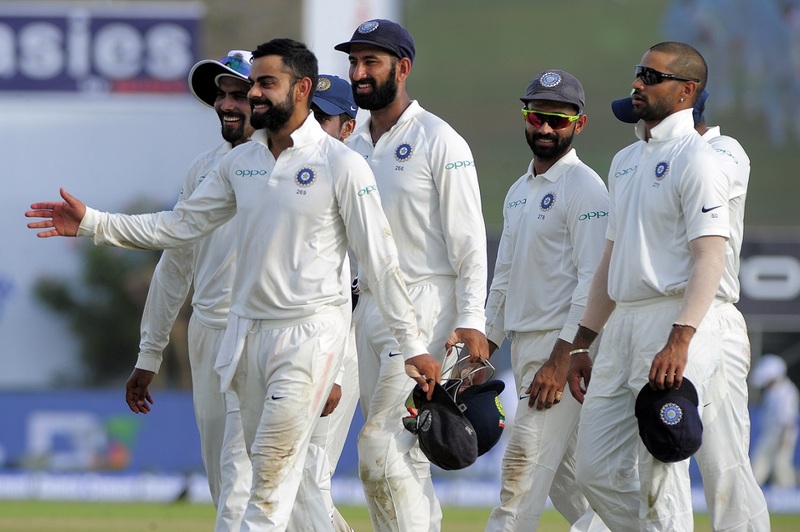 Indian captain Virat Kohli praised the efforts of opening batsman Dimuth Karunaratne and fast bowler Nuwan Pradeep after his team completed a comprehensive 304-run win in the first Test between the countries in Galle on Saturday. 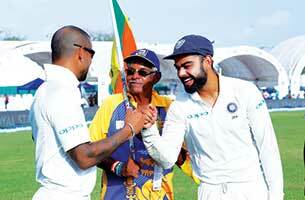 Karunaratne was dismissed after a well-compiled 97 runs while Pradeep took career-best figures of six for 132. Sri Lanka’s fielding has been something that has been discussed at length over the last 12 months or so. Fielding has cost the team heavily; for instance during the first ever Test defeat to Bangladesh at P. Sara Oval in March, during the virtual quarter-final clash against Pakistan in Champions Trophy in June and more recently against Zimbabwe in the bilateral ODI series. During that painful defeat to Zimbabwe, Sri Lanka dropped as many as nine catches in five games, three tough catches and six that should have been taken. Once easily the best fielding team in Asia, today Sri Lanka has become the worst. Something has gone wrong somewhere. India like to be ruthless when ahead, in that they don’t like to leave the door open in order to make a statement. Even the ever-present threat of rain in Galle is not likely to make them enforce a follow-on on a 10-man Sri Lanka, even if they bowl them out in the first hour on the third morning. 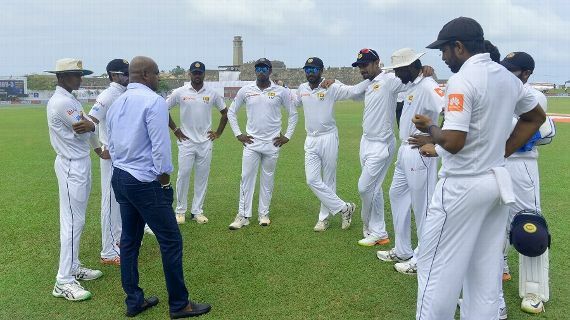 Prospects of a three-day finish might not be tempting enough for this team, which has seen the pitch drying out quickly, and which knows from first-hand experience that chasing anything on a quick-drying Galle surface can be treacherous. The Australian Cricketing Dispute: Some Light? You are currently browsing the Critiquing Cricket blog archives for July, 2017.